Help Dink, Josh, and Ruth Rose solve mysteries from A to Z! Kids love collecting the entire alphabet and super editions! With over 8 million copies in print, the A to Z Mysteries® have been hooking chapter book readers on mysteries and reading for years. Now this classic kid favorite is back with a bright new look! J is for Jewel . . . New York is the emerald city! Dink's uncle's museum there has a new treasure-a golden jaguar statue with an emerald between its paws. But someone swaps the jewel for a fake! 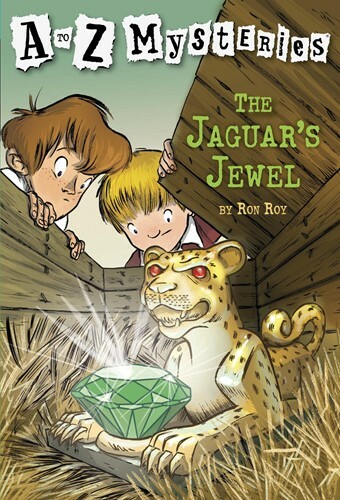 Who stole the jaguar's jewel? Dink, Josh, and Ruth Rose are sure to find out! From the Trade Paperback edition.